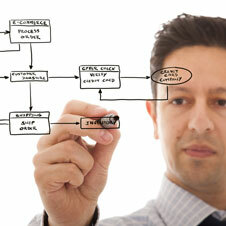 Professional Success is unparalleled in our process development and implementation. We integrate our processes throughout the entire prospect and customer life cycles. This allows for all communications through pertinent channels to be delivered and reported effectively throughout the entire cycles. We founded and built our business around our follow up processes… It is our very core. Custom implementation, management and maintenance of the designated Internet lead and follow up process within the existing ILM/CRM. Consistent and professional delivery of your Dealership name, value, product and services throughout the entire sales cycle. Detailed Reporting and analysis provided to your management and sales teams. Review and analysis of all activities through the ILM / CRM, as a system of checks and balances for potential problem areas, as well as training and continued improvement, and custom enhancement. Professional Success has a highly developed email process, designed with a “call to action” for all stages of the sales process, allowing your Internet sales team to focus on their follow up calls and engaging the prospects.